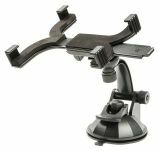 Universal smartphone Stand 54~82mm, black, rotation 360°, for air vent Universal smartphone Stand for air vent, from 54 to 82 mm, black, rotation 360°. Stand , pink, visual angle 120° , for dashboard Light and portable holder for mobile devices Remax Fairy with 120 degrees best visual angle for home, office and car use. Strong adhesion force, stable support ad easy to dismantle design. 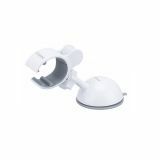 Stand , blue, visual angle 120° , for dashboard Light and portable holder for mobile devices Remax Fairy with 120 degrees best visual angle for home, office and car use. Strong adhesion force, stable support ad easy to dismantle design. Stand , red, visual angle 120° , for dashboard Light and portable holder for mobile devices Remax Fairy with 120 degrees best visual angle for home, office and car use. Strong adhesion force, stable support ad easy to dismantle design. Remax RM-CS101 Super Flexible Car Holder with Charging Output for Dashboard The REMAX RM-CS101 car holder is made of flexible non-slip silicone that fits snugly against any texture on the car dashboard with a convenient universal stand for smartphones and tablets of varying sizes. A magnetic charging system allows you to easily pick up the smartphone on a call and easily return it to the stand. Universal car mount for tablets up to 7' Convenient tabletop car holder. Stable fixation by means of a vacuum mechanism on a smooth surface. Suitable for tablets up to 7 inches. 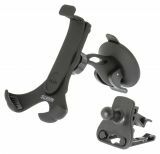 Universal car bracket for phone, tablet, GPS, Mp3 type clamp Universal car bracket for phone, tablet, GPS devices, MP3 players etc. 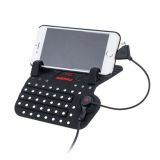 REMAX Fairy Mobile Phone Holder for Car Home Travel Office Black Light and portable holder for mobile devices Remax Fairy with 120 degrees best visual angle for home, office and car use. Strong adhesion force, stable support ad easy to dismantle design. GSM, Mp3, Mp4, GPS, PDA stand pad Auto GSM, Mp3, Mp4, GPS, PDA stand pad. Universal tablet stand from 7 "to 14" inch Universal tablet stand. 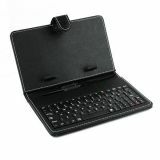 Suitable for different sizes of tablets, GPS, PDAs. It is glued to the vehicle's glass by vacuum and is made of high-quality material. 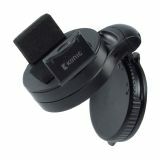 Universal stand for different phone, GPS, MP4, PDA devices Universal stand for mobile phones and GPS for car. Suitable for different sizes of GSM, Mp4, GPS, PDA. It is glued to the vehicle's glass by vacuum and is made of high-quality material. 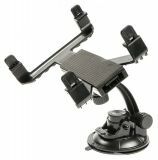 Stand for various phone, GPS, MP4, PDA devices RC-06 Universal stand for mobile phones and GPS for car. Suitable for different sizes of GSM, Mp4, GPS, PDA. It is paired to the vehicle's glass through a vacuum and is made of high quality material. 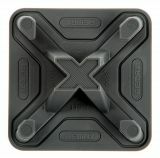 Mobile phone holder or tablet RM-C25 Pyramid 360 Remax Universal tablet or phone holder suitable for both home and car. Stand for GSM, Mp3, Mp4, GPS, PDA, for car GSM, Mp3, Mp4, GPS, PDA adjustable stand.